Hi! 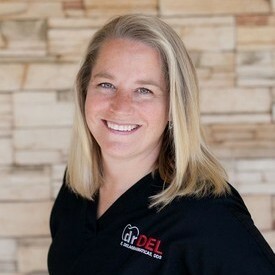 My name is Beckie and I have been a part of Dr. Del's team for 9.5 years! I graduated from Cal State San Marcos in 2010 with a B.A. in History. Friends and family mean the world to me! The majority of my spare time is devoted to my husband Trent, our son Cooper and daughter Calissa. I look forward to seeing you in the office and know that you will enjoy your experience at Dr. Del's! 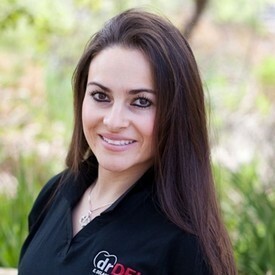 Hello, my name is Jennette and I am honored to be Dr. Del’s Registered Dental Assistant! I enjoy every aspect of dentistry and am eager to further my education and stay up to date on the latest technology. I am passionate in assisting our patients towards achieving healthy, confident smiles. Outside the office I love photography and spending time with my husband, Angel, and our three children, Tony, Nevaeh and Isaac who all mean the world to me! I am a diehard Chargers fan! Go Bolts!! I look forward to meeting you and providing you with customized, quality care. Hi, my name is Kris! I graduated from Century College in White Bear Lake, MN in 1996 and before that was a Dental Assistant for 8 years. 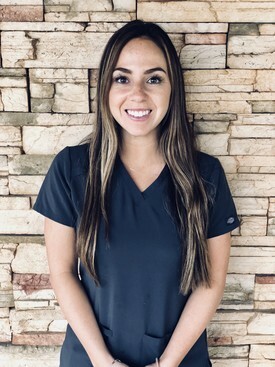 I love working in the dental field because I am able to help people achieve their optimal oral health while having the opportunity to help them feel comfortable in the dental environment! I have 3 children and two grandchildren. When I am not working, I enjoy spending time with my family. I look forward to seeing you in the office!! Hello! 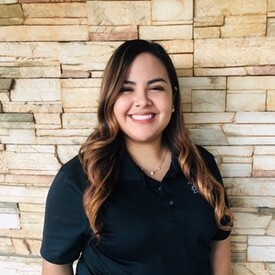 My name is Areli and I am a dental assistant at Dr. Del's office. I am excited to be part of this amazing team and contribute to providing the best quality care for you and your family. During my free time I enjoy taking my son Elias to amusement parks and visiting new places in beautiful southern California. I look forward to meeting you and providing you with a great experience at Dr. Del's! Hi, my name is Irene, and I manage all of Dr. Del's marketing. I graduated from Boston College with a Bachelor's in Nursing and Master's in Administration/Marketing. For fun, I enjoy outdoor activities, such as running and cycling, and enjoy coaching young athletes the game of softball. 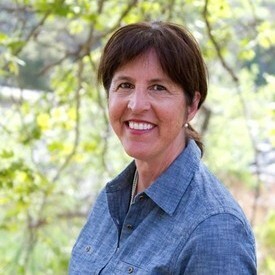 Hi, my name is Angel, and I have been working in the accounting/finance field for over 30 years. I have also been blessed to be married to the best dentist I know for the past 30 years. Dr. Del and I have two grown children, Dimitri and Rene, of whom we are extremely proud. In my spare time (ha), I have a passion for health and wellness. I am an A.C.E. 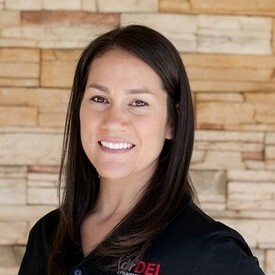 Certified Personal Trainer and an Accredited Coach with the Nautilus Institute. Dr. Del and I are also blessed with a wonderful team of staff members and are very appreciative of all our great patients. Please feel free to call on any one of us with your concerns. Hi, my name is Mariya and I am certified Dental Assistant. I completed my program February, 2019 at California Dental Certifications in San Diego. I enjoy every aspect of the dental field, and I am very eager to further my education. I enjoy spending time with my fiancé Ruben and my daughter Nataya. We are usually looking to do anything outdoors in our spare time. I look forward to seeing you in the office! 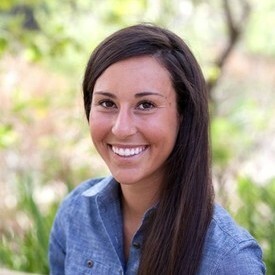 Summer was born and raised in Carlsbad, California. 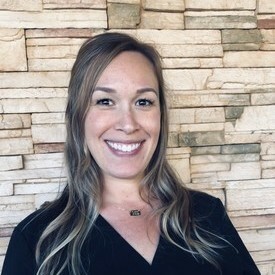 She completed her undergraduate studies at Palomar College, and she received her Bachelorette of Dental Hygiene Degree in 2014 from West Coast University. Summer is certified in laser therapy, local anesthesia, and soft tissue curettage. She loves spending time with her husband Che, her two children, and her dog. On Summer's time off you can find her venturing San Diego, traveling, doing yoga, or anything active with her family.